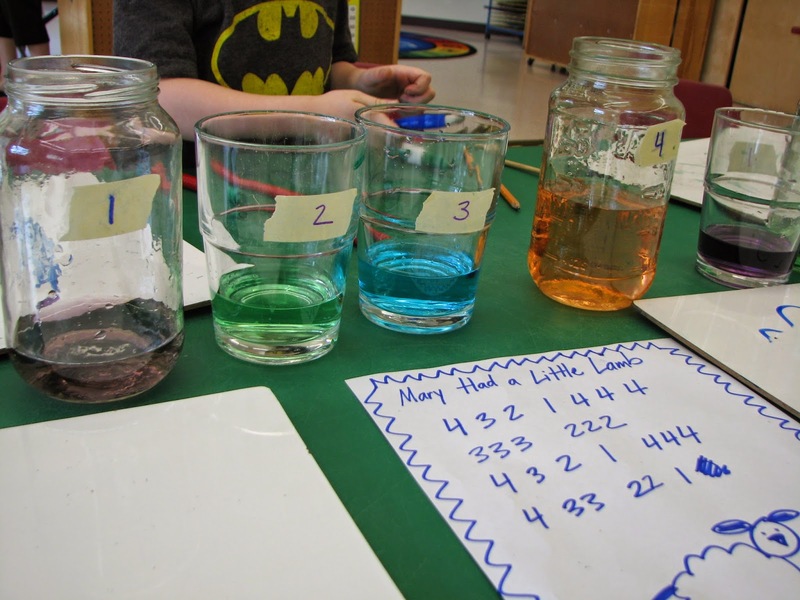 Teach Easy Resources: Afraid to Incorporate Instruments into your Center Time Activities? Try this idea! 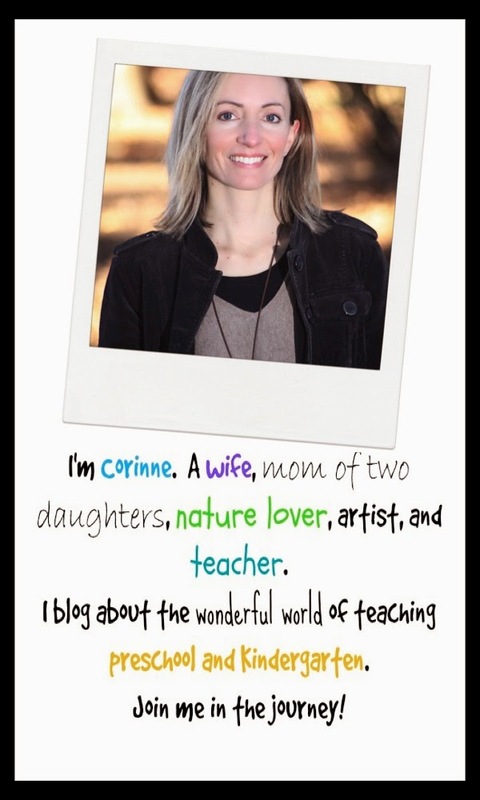 Afraid to Incorporate Instruments into your Center Time Activities? Try this idea! Like many preschools, we have a big box of instruments in our collection of toys and resources. The kids love to "make music" and we often pull out our class set of rhythm sticks and shakers for directed use at circle time. But what about letting the kids play instruments at center time? On their own? Do we frequently encourage that? Quite frankly, the noise of free-for-all preschool music can be a little hard to take! But we do put out instruments for free play time on occasion. 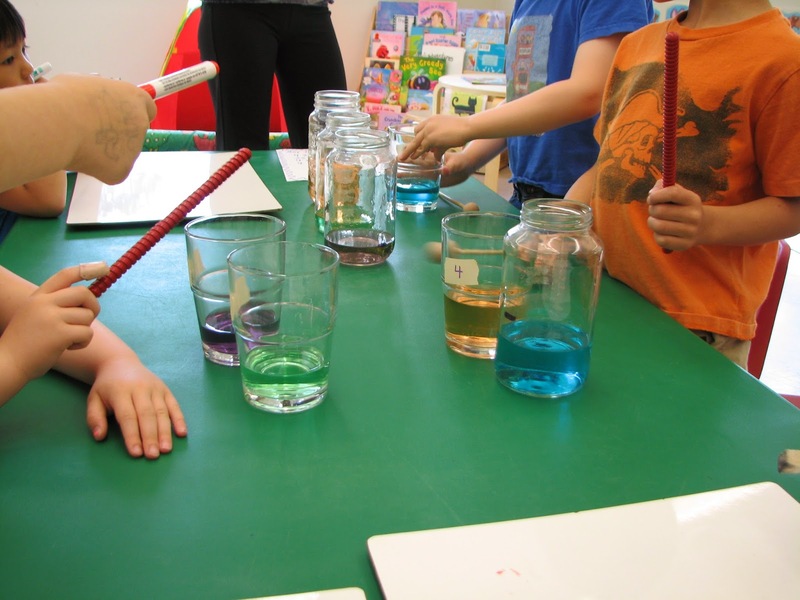 We created a music station with glasses filled with coloured water at varying levels. For mallets we set out a variety of items that we had on hand - real wooden mallets, rhythm sticks, and even the odd pencil or two. The sets of glasses were each labelled from #1 - 4 so that in addition to random tapping, the children could try to play a song that we had included at the center. I worked out a rendition of "Mary Had a Little Lamb" on the jars beforehand and then recorded the song using the numbers on the jars. The preschoolers had the option of trying to play this song as well as playing their own random music. 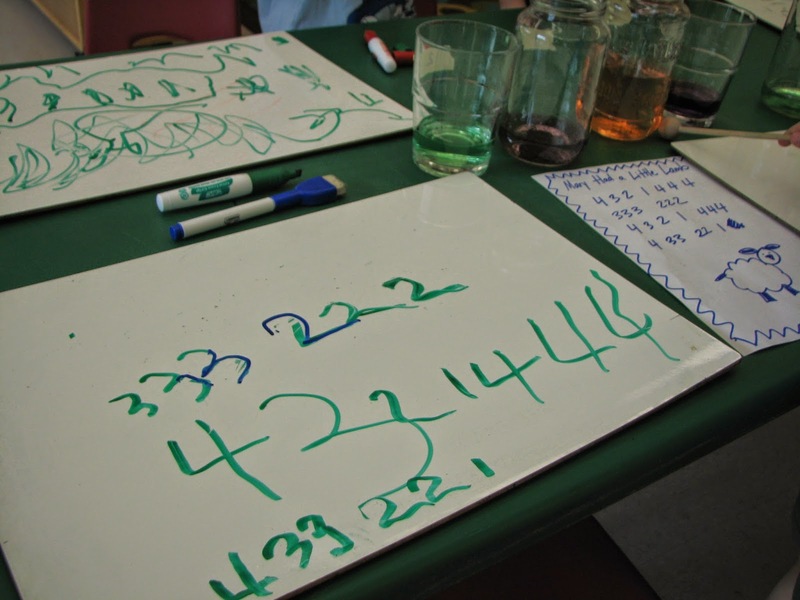 To encourage the children to record their own original songs using numbers, I laid out white boards and erasable markers. It was great to see how this simple activity encouraged even the children who don't like writing to eagerly sit down to record a series of numbers. All they knew was that they were creating a song and as one boy eloquently stated, they were going to "rock out." The beauty of learning through play!